LONDON — Deep below London's streets, a little-known warren of tunnels criss-crosses the capital. For much for the 20th century, the network was dedicated solely to delivering Britain’s mail. When the underground mail route first opened in 1927, a train would depart from Paddington Station in West London every seven minutes, carrying letters 6.5 miles across the city to Whitechapel Station in the east, stopping at key sorting houses along the way. Now, for the first time, visitors will be able to travel a stretch of tunnel measuring more than half-a-mile, in a newly-built train similar to that which transported mail for the best part of the last century. The so-called Mail Rail attraction will launch in September as part of London’s new Postal Museum that opened Friday, and which traces the social history of Britain’s Royal Mail. During the later stages of World War I, the tunnels — which were dug in 1917 and were unknown to most, apart from postal workers — were used to store national treasurers, such as the Rosetta Stone and paintings from the National Portrait Gallery. In World War II, the line was a secure communications network when transport above ground were endangered by German bombing raids, as well as a safe haven for air-raid wardens who reportedly slept in the stations. "We used to joke it was the post office's best kept secret," said Ray Middlesworth, 59, who worked as an engineer on the Mail Rail network for more than 40 years. "If you told people where you worked, they thought you either worked on the London Underground or you worked on the traveling post office," he said. 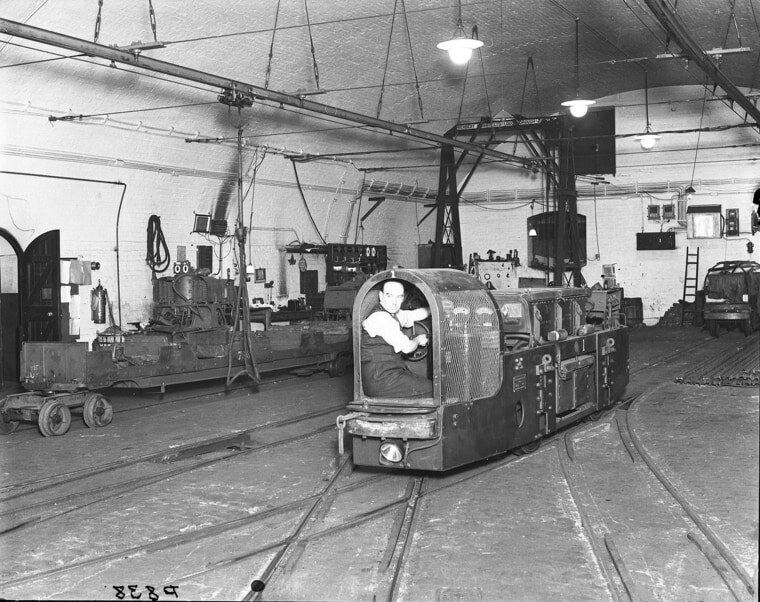 "People didn’t realize that the Royal Mail had its very own underground railway." "It was very noisy and it was very busy and there was a sense of urgency in the air"
Visitors who want to explore the network will find a labyrinth-like maze of tunnels, some little-wider than two feet in diameter. The twisting paths open up into several cavernous underground platforms, which are situated below one of London's principle sorting houses. The platforms open to the public were kept in their original condition and still feature a dart board — which postal workers used to kill time during the seven minute gaps between trains — and murals from when the station was transformed into Santa’s Grotto for the workers' children during Christmas time. Video installations, which will open in September, will explain how the railway kept mail coursing through the capital and will take visitors back to important periods in London's history, such as the Blitz in 1940 and 1941, during which a German V-2 rocket hit a water main, causing a section of the tunnels to flood. "It was very noisy and it was very busy and there was a sense of urgency in the air," said Middlesworth, recalling operations in the late 20th century. "If a train was delayed or a train broke down then everything would start backing up." The railway line was eventually closed in 2003 as mail began to be sorted outside of London, Royal Mail property was sold off, and people started sending packages rather than letters. "There was a change in how mail was moved," said Adrian Steel, director of the Postal Museum. Above ground at the Postal Museum across the street from the Mail Rail tunnel, visitors can learn about Britain's proud postal history. The U.K. was the first country to invent the stamp, and a priceless sheet of the world’s first stamp — the Penny Black — is now on display at the museum. The museum also holds the sculpture of Queen Elizabeth II used to produce her iconic image that features on more than 220 billion British stamps. Middlesworth, who starting as an apprentice with the Royal Mail in 1974, said he was pleased the underground railway was finally getting its day in the sun. "I think it's wonderful, because there was always the danger it would just pass into history and be forgotten about," he said, adding that he was excited to bring his grandsons to visit. "It was a very important part of our postal history and a great invention." The Postal Museum opened on July 28 and the Mail Rail attraction will open on Sept. 4, 2017.